On the day before the “bomb cyclone” hit Massachusetts my sister-in-law, Barb Lambdin, sent me two photos of the frozen ocean at West Dennis Beach, Cape Cod. Intrigued by the coming storm, I asked her to take more photos when it hit. Before the storm: West Dennis Beach on the ocean side. During the storm: Corporation Beach in the protected middle of the bay shore. Above, the ocean was so calm on 3 January 2018 that ice had formed in flat sheets and blue-green water ponded on top. 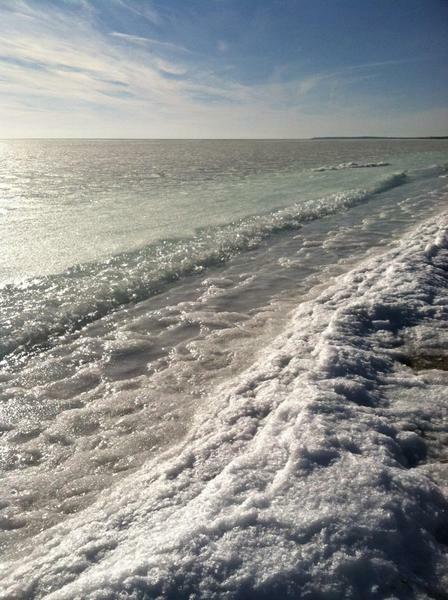 The waves were small and slushy (below). Barb calls them Frozen Margarita waves. On 4 January it was too windy and dangerous on the ocean side so Barb went to the bay side at Corporation Beach. The two photos below were taken at high tide. 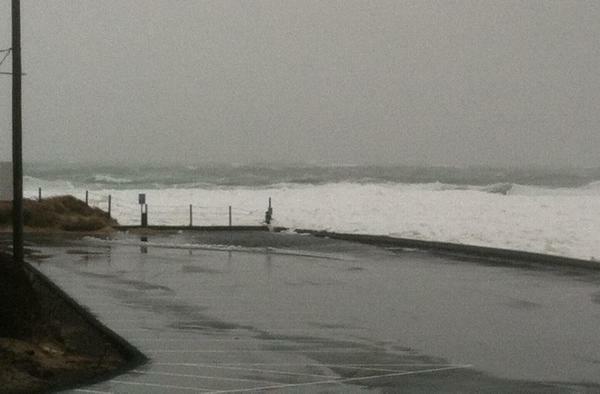 Keep in mind that this is the calm side of Cape Cod yet the waves are high and about to flood the parking lot. 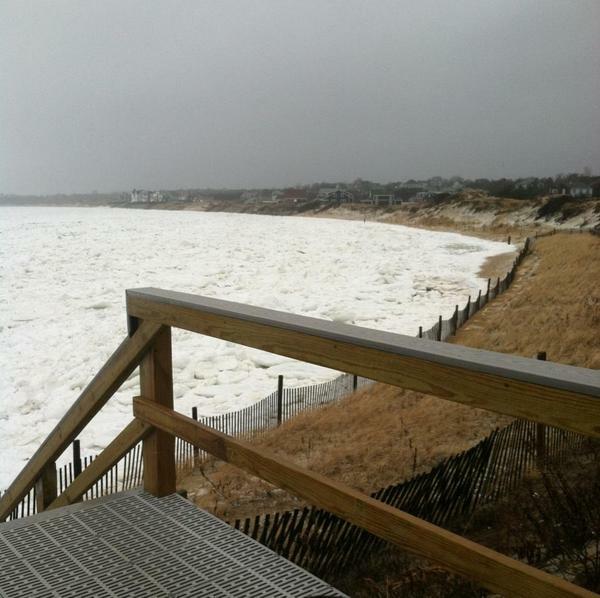 I have never seen waves break at Corporation Beach! 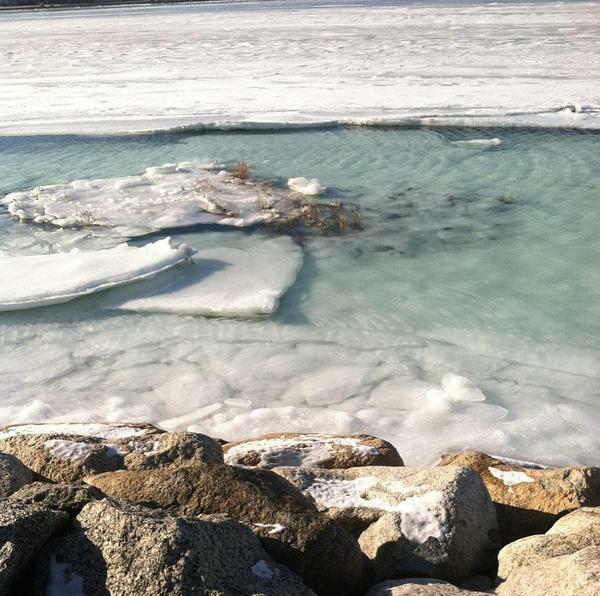 This high tide set a record at Boston, 60 miles north across the bay. For more information and cool graphics see The 10 best images of this week’s historic bomb cyclone in the Washington Post. 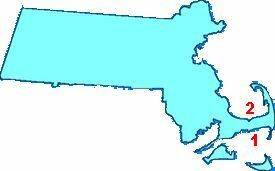 Is this the worst nor’easter we’ll see this winter? Who knows. p.s. Why is it so cold? Actually it’s extremely cold in the eastern U.S. but very warm in the West (click here for Departure From Normal Temperature graphic). Four years ago we experienced the Polar Vortex of 2014 when the jet stream wobbled southward. It’s happening again. And it’s a feature of climate change. Learn more at CBCnews: Why has it been so cold? Here’s what science says. Thanks, Kate, for always keeping us entertained & educated!